Thermometers don't seem like they need reinventing. Just stick one beneath your tongue, wait a minute, and everything you need to know is right in front of you. But there's a lot more that temperature can tell us if we're paying close attention. "Normally on temperature, I'd think that’s not very interesting," John Rogers, a University of Illinois researcher, tells The Verge. "It turns out, measuring skin temperature, let’s say to a tenth of a degree ... that says something very meaningful about your physiological status and health." 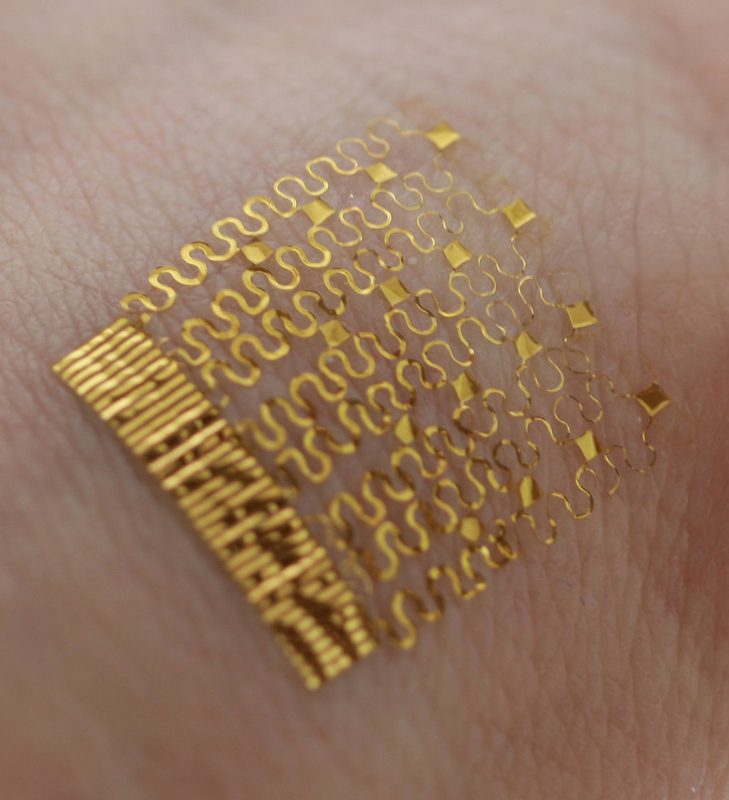 Rogers has been working on a series of super-thin, flexible electronics that are both wearable and totally unnoticeable to their wearer — they're so thin, they've often been referred to as electronic tattoos. His research team's latest device contains a hypersensitive thermometer that he says can do the job of a quarter-million-dollar thermal infrared camera, even though it costs only pennies worth of parts. 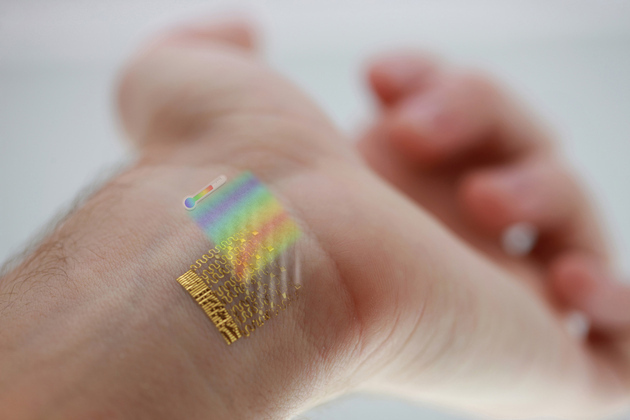 Not only can the wearable thermometer do the same job, Rogers says that it can do it better: because it attaches to the skin, it can measure temperature over a long period of time, during a person's day-to-day activities, and without its target shifting around and introducing inaccuracies to a camera's steady sensor.